Hotel Bristol is nestled in the A Block of DLF Phase 1, Gurgaon. The venue is located at a highly convenient and accessible location, being in close proximity ie. 550 m from its nearest metro station- Sikanderpur, on the Rapid Metro Gurgaon and Yellow Line of DMRC. One can very easily reach the venue through a one-minute's drive from the metro station. The hotel is elegantly decorated and is an ideal choice for both the leisure and business travellers. Hence, it boasts of a comforting and welcoming ambiance. Hotel Bristol provides you with multiple spaces for your different types of events, including a plush Banquet Hall with an exquisite atmosphere, a sprawling lawn with exceptional accommodation capacity and well-manicured greenery, and a gorgeous poolside area for your pool-parties! The Hotel can accommodate as many as 1000 guests for your events. Hotel Bristol provides you with an in-house team of decorator to incorporate your desired theme into the venue and add a touch of personalization to your events. The hotel offers finely nuanced cuisines created by some of the best chefs in India and abroad catering to social function menu and high tea menu. Guests can look up to authenticity and excellent service. The venue provides you with an in-house team of expert culinary chefs to take care of the entire catering service of your venue. You can choose amongst the Hotel's multiple buffet-options including High-Tea Menu, Social Functions Menu, and Wedding Menu. Hotel Bristol also serves a variety of alcoholic drinks for your cocktail events. The service of this venue is prompt and the staff is quite helpful and attentive. The Bristol is one of the most contemporary Hotel in Gurgaon and is a landmark of luxury and space. 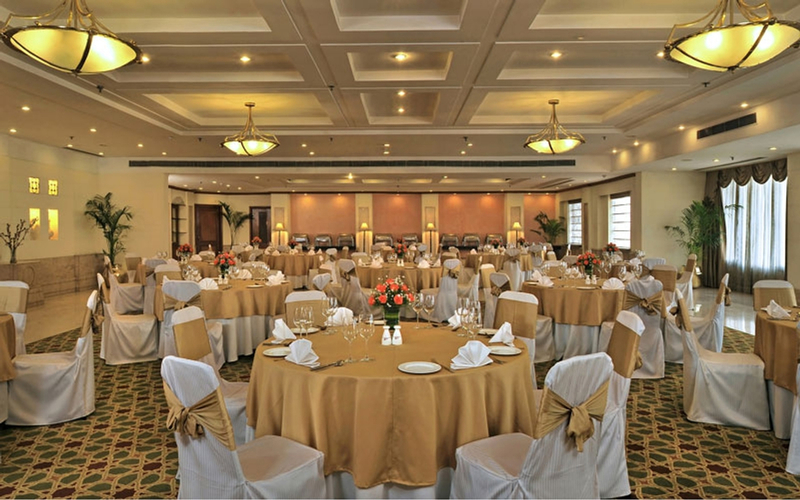 It is best suited for all your occasions like Anniversary Celebrations, Birthday Party, Cocktail Party, Corporate Party, Engagement, First Birthday Party, and all your Pre-Wedding Functions, Wedding Ceremony, and Wedding Reception. It was an amazing experience to stay here during one of my business trips. I had booked the Hall in Hotel Bristol for our office's Conference Event. Needless to say, I could not find a single flaw in the entire duration of my stay, be it the ambience, their service, the food, or their management. It was a stress-free experience, right from finding this Hotel through VenueMonk to the entire event execution. Great hotel for your events, I thank both the Bristol and my event executive Aditya for their assistance throughout.